1968-69 Chevelle Front Bumper Bracket Mounting Hardware. 16-pcs. 1970-72 Chevelle Front Bumper Bracket Mounting Hardware. 16-pcs. Correct 32-pc Hardware Kit to Install the 1970-72 Chevelle Front Bumper. 1969 Chevelle Rear Bumper Bracket Mounting Hardware. 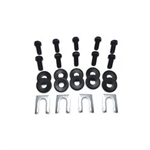 24-pcs 1968 Chevelle Rear Bumper Bracket Mounting Hardware. 24-pcs. 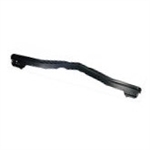 Often bent, rusted or missing, this piece fits in the space between the front bumper and grille. Panels are reproduced to original specifications and EDP coated. 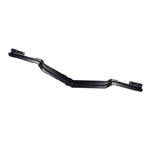 Fits: 1969 Chevelle Often bent, rusted or missing, this piece fits in the space between the front bumper and grille. Panels are reproduced to original specifications and EDP coated. 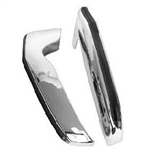 Fits: 1970 Chevelle High Quality Chrome Reproduction Front Bumper Guards for 1971-72 Chevelle. Sold as a pair. 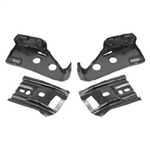 Reproduction Front Bumper Mounting Brackets for 1971-72 Chevelle. 8 pcs. 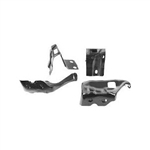 Reproduction Front Bumper Mounting Brackets for 1970 Chevelle. 4 pcs. 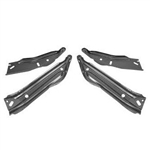 Reproduction Front Bumper Mounting Brackets for 1969 Chevelle. 4 pcs. 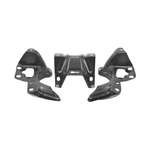 Reproduction Front Bumper Mounting Brackets for 1968 Chevelle. 4 pcs. 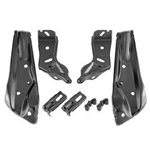 Reproduction Rear Bumper Mounting Brackets for 1968 Chevelle. 5-pcs. 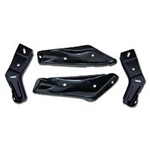 Reproduction Rear Bumper Mounting Brackets for 1969 Chevelle. 3-pcs. 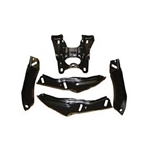 Reproduction Rear Bumper Mounting Brackets for 1970 Chevelle. 4-pcs. 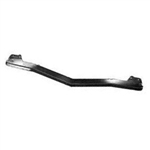 Reproduction Rear Bumper Mounting Brackets for 1971-72 Chevelle. 4-pcs. 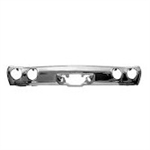 Reproduction Chrome Rear Bumper for 1968 Chevelle. 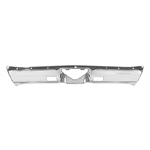 Reproduction Chrome Rear Bumper for 1969 Chevelle. Reproduction Chrome Rear Bumper for 1970 Chevelle. 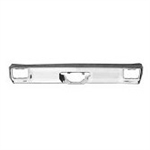 Reproduction Chrome Rear Bumper for 1971-72 Chevelle.